Operation Colossus, the first British Airborne operation, was carried out by seven officers and 31 men from X Troop, 11th Special Air Service Battalion on the night of 10 February 1941. The objective was the demolition of the Tragino Aqueduct in southern Italy, which carried the water pipeline that supplied the ports of Taranto, Brindisi and Bari. The force, in Whitley bombers, flew across occupied France to Malta from where the operation was mounted. After blowing part of the aqueduct, the men made their way to the coast to be picked up by submarine. Unfortunately they were all captured. 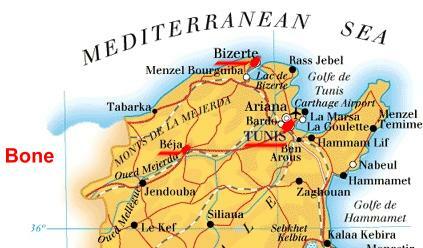 In November 1942 the First Army, which included the 1st Parachute Brigade, landed near Algiers with the aim of advancing and capturing Tunis and Bizerta 500 miles to the east. 3 PARA, which had flown to Algiers via Gibraltar, spearheaded this advance; they seized the vital Bone airfield on 12 November by parachute assault, anticipating by minutes a German force with the same task, which it then abandoned. On 16 November 1 PARA dropped near Souk el Arba airfield and occupied a key road junction at Beja, only 90 miles from Tunis, from which they actively patrolled. 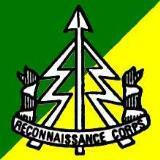 Both these operations were successful and the airborne troops were quickly relieved by the advancing main force. 2 PARA, initially held in reserve, was dropped at Depienne on 29 November to destroy enemy aircraft at Oudna. The airfield, however, was found to be abandoned while unexpectedly heavy enemy opposition halted the advance of the First Army, leaving the battalion isolated 56 miles behind enemy lines. Lightly equipped and continuously attacked by air and ground forces, the battalion successfully conducted an arduous fighting withdrawal back to the nearest Allied positions, losing 16 officers and 250 men en route. The campaign now entered a new phase that developed over the winter into a bitter slogging match. For the next five months until April 1943, the Parachute Brigade Group was required to fight in the normal infantry role. Taking part in more battles than any other formation in the First Army, they inflicted over 5000 casualties with a loss to the brigade of 1700 men. The brigade's actions in this operation earned them the name of Rote Teufel, or the Red Devils, from the German forces. Sicily was to be taken by a rapid pincer attack. The Americans, after landing in the south, were to advance across the island in a wide sweep from the west while Montgomery's Eighth Army, which had landed on the east coast, were to block the enemies' escape route across the straights of Messina. 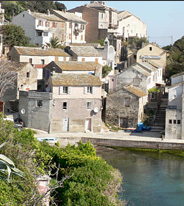 Airborne troops were required to capture the key points of the Ponte Grande, over the canal at the entrance to the port of Siracuse, and the main coastal bridge on the approach to Catania, called Ponte di Primosole. On 9 July the 1st Airlanding Brigade group encountered high winds, so half the force was released too early and landed in the sea and the rest were scattered inland over many miles. A platoon of the 2nd Battalion The Staffordshire Regiment captured the Ponte Grande and held it until the morning when they were forced to withdraw. However, they had gained valuable time for the Eighth Army, which arrived that afternoon by sea and secured Siracuse. On the night of the 13 July, the 1st Parachute Brigade had a very dispersed drop due to receiving heavy fire from our own ships, which forced the inexperienced American aircrews to take excessive evasive action. Only about 300 officers and men dropped accurately enough to seize the Ponte di Primosole which they held long enough, despite German attacks in strength, to ensure the bridge was intact when the Eighth Army arrived. 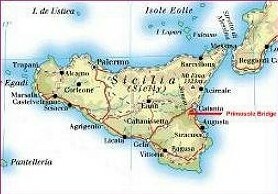 By 17 August the fighting in SICILY ended as the Allied armies converged on MESSINA. The Eighth Army crossed the straits of Messina to land on the toe of .ITALY on 3 September, followed a few days later by the first American landings at SALERNO. The 1st Airborne Division was ordered to sail in Royal Navy and American warships to capture and open up the port of Taranto and to operate in advance of the main force soon to be landed there. On 9 September, the 4th Parachute Brigade aboard HMS Penelope and the USS Boise, sailed into Taranto and scrambled ashore to secure the port, followed by the 2nd Independent Parachute Brigade. Unfortunately HMS Abdiel, a minelayer, with 6 PARA aboard struck a mine. It detonated the mines aboard the ship which sank within two minutes with the loss of 58 lives. 156 PARA and 10 PARA advanced swiftly on two axes against strong rearguard action from the 1st German Parachute Division and in a few days captured the airfield at Giooia Dell Colle, which was urgently needed for the RAF to provide air support for the Salerno landings. 1st Parachute Brigade and 1st Airlanding Brigade landed and took over the advance, pushing on to Foggia 125 miles inland where the division outran its meagre supply and transport system. Main elements of the Eighth Army took over the advance up the east coast. In October the 1st Airborne Division was withdrawn to Taranto and in the following month returned to the UK. The 2nd Independent Parachute Brigade remained in Italy as General Alexander's airborne assault force, but the Germans formed a strong defensive line in the hills and the campaign had already become static with little scope for airborne action. The brigade therefore fought as infantry from November to March, 1944 in the Adriatic sector where they were attached to the New Zealand Division. Here they carried out aggressive patrolling and suffered many casualties during the bitter winter fighting. In April the brigade was moved west to the Cassino Sector where they continued patrolling before being withdrawn to Salerno in May 1944. To prepare for the ultimate invasion of Greece, the capture of the island of Rhodes, with its fighter airfields, was essential. In the autumn of 1943, however, the forces available for this purpose were too few and the Germans strengthened their garrison. A decision was made to attempt to capture the islands of Kos and Samos, far less heavily defended. 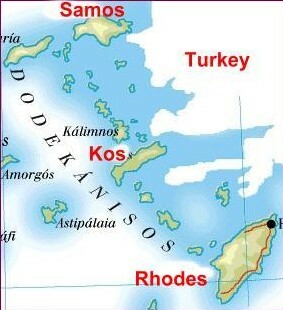 Of the two islands Kos, with its airfield, was far the most important. To seize it and hold it would ultimately make Rhodes untenable by the enemy. The attack was opened by A Company, 11 PARA. 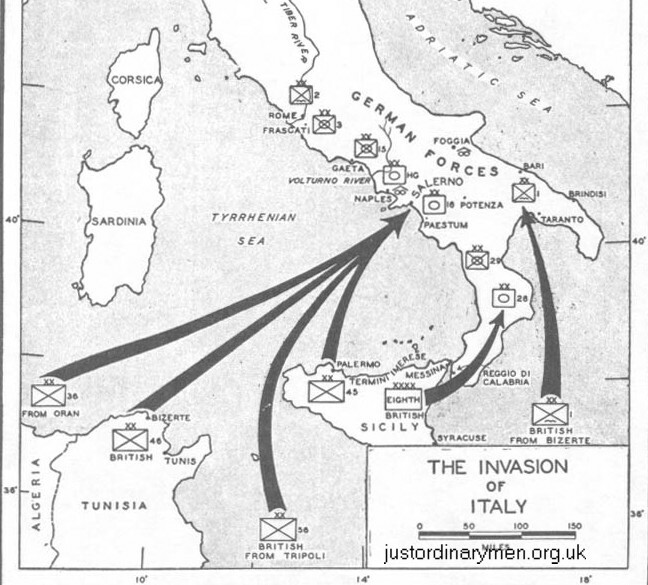 On 14 September the three platoons dropped on Kos and were welcomed by the Italian garrison who spread straw on the DZ! Heavy attacks over the next four days, by the Luftwaffe soon depleted the company and they had to be evacuated on 25 September. In September 1943, following the surrender of Italy, ELAS (the Greek National People's Liberation Army), the military wing of the Greek Communist Party, seized huge quantities of weapons abandoned in the area of Italian occupation. By August 1944, when the Germans began to withdraw, the communists controlled nearly 80% of Greece. Winston Churchill despatched British troops to Greece to support a stable government acceptable to the Western Allies, to accept the German surrender and to pave the way for a large-scale relief operation. Operation Manna was launched on 4 October 1944, when British troops landed at Patra. Four days later the Germans left Athens. On 12 October 1944, a company of 4 PARA dropped on Magara, northwest of Athens, in extremely windy conditions to seize the airfield for the arrival of the remainder of the 2nd Independent Parachute Brigade for an advance on Athens, which they entered on 15 October. Thereafter, until January 1945, the brigade was engaged in clearing up remnants of the German forces throughout Greece, restoring civil order, and subsequently fighting in Athens a particular thankless and bloody campaign against ELAS which cost them heavy casualties. The task of clearing out ELAS was a difficult one. Quite often, battalions and companies were completely detached from each other under sniper and mortar fire but the brigade held fast until the relief divisions arrived from Italy. The brigade was withdrawn and returned to Italy in February 1945.